This is a guest post by Jean-Louis Thiébault, emeritus professor of political science at the Institut d’Etudes Politiques de Lille, France. On November 17, 2018, a demonstration of the so-called “yellow vests” (which must be carried in French cars in case of accidents) took place on the Champs-Elysees and some demonstrators attempted to go to the Elysee Palace before being blocked by police. The protesters demanded the dismissal of the president. France was, consequently, shaken by violent protests. The “yellow vests” first protested against rising fuel taxes, then they called for a more radical change: lower taxes, higher wages, … The slogan that the protesters chant the strongest and most often concerns the reinstatement of the wealth tax. Finally, they presented a whole series of institutional demands that constitute a questioning of the French semi-presidential system that has existed since 1958. We will first look at the basic characteristics of the French semi-presidential regime, before analyzing the events that led to the fall of President Emmanuel Macron’s popularity and the questioning of his person. A movement of criticism of representative democracy then developed in the “yellow vests”, demonstrating a willingness to set up mechanisms for popular consultation, upsetting the balance of the French presidential system. The social and political crisis of the “yellow vests” could therefore lead to a crisis of regime. France has a semi-presidential regime whose main characteristics are the strong legitimacy given to the president by his election with direct universal suffrage and the support of a homogeneous and stable parliamentary majority. Indeed, it was mainly the election of the president by universal suffrage in 1962, which gave the president a strong democratic legitimacy, that allowed him to concentrate many powers in his hands. General de Gaulle then wanted to reinforce his legitimacy, but especially that of his successors, by inscribing in the constitution the election of the president with direct universal suffrage rather than by a college of elected grand electors as in 1958. He decided to organize the vote of this constitutional text by referendum without first submitting it to the parliament. The election of the president by universal suffrage was widely approved (62.25% of the votes). The presidential election becomes, therefore, the determining election of the French political life. Being the only one to really count, the political parties then no other objective than to elect a president. The use of universal suffrage has thus radically polarized political life – since 1962 the different parties merged into two coalitions: right versus left. The role of the presidents is also strengthened through stable and disciplined parliamentary majorities. This support was reinforced by the replacement of the seven-year presidential term by a five-year term in 2000 and the inversion of the electoral calendar. In the referendum on the presidential term in September 2000 voters voted “yes” by a large majority (73.21% of the votes), but in a context of high abstention (69.81%). In 2001, the parliament voted to reverse the electoral calendar so that the legislative elections were held after the presidential election. The purpose of this inversion is to match the two mandates to avoid cohabitation. The purpose of inverting the calendars was to introduce concurrent mandates, thus avoiding cohabitation and giving the president a coherent parliamentary majority – in contrast to the parliamentary dissolutions made in the wake of the presidential elections of 1981 and 1988. In 2002, 2007, 2012 and 2017, the legislative elections, with the amplifying effect of majority voting, corresponded to this logic. Indeed, this accentuation of the “factual majority” increases the pre-eminence of the presidency even more, but also its influence in the daily governmental practice. Some modifications of the constitution have softened certain aspects of the presidential function. Nevertheless, its quasi-monarchical character remains and has even been accentuated since 2002 by the implementation of this dual decision to establish the five-year term and to reverse the electoral calendar. The most recent presidents have benefited from these assets, even if François Hollande had wished to exercise a “normal presidency” and Nicolas Sarkozy developed a “hyper-presidential” conception of institutions. As for Emmanuel Macron, he conceptualized a vigorous approach to the presidential function. He himself theorized his function under the name of “jupiterian president”. From general de Gaulle to Emmanuel Macron, all presidents have developed a very presidentialist conception of the political regime. The presidential omnipotence around a head of state, who alone embodies political power, is considered as an essential source of the current malaise. Every five years, the presidential election creates strong expectations around a politician installed as a quasi-monarch. A year later, systematically, disenchantment arrives. Since the introduction of the five-year term, no president has managed to get re-elected. The five-year term, combined with the inversion of the electoral calendar, profoundly changed the political life and it completely changed the balance between the president, the government, and the parliament as it resulted from the 1958 constitution. The presidential omnipotence, around a president, who alone embodies political power, is considered as an essential source of the current malaise. The satisfaction score attributed to the president with respect to the exercise of power tends to diminish over time. The lowest satisfaction score experienced by de Gaulle is 42%; Valéry Giscard d’Estaing’s lowest level was 35%; François Mitterrand at 22%; François Hollande at 13%. Emmanuel Macron now has a 23% approval rating. The “yellow vests” illustrate the distrust of the presidential omnipotence. Their enemy is the president. The recent movement of “yellow vests” is the result of ten years of social stagnation since the 2008 crisis. It led to a background of social dissatisfaction and disregard for the political regime and its representatives. Yet, on the other hand, it is the person of the president who is at the centre of all recriminations. The president’s person is rejected. Elected democratically and legally, the president is the subject of a lawsuit in illegitimacy. The heterogeneous group that constitutes the “yellow vests” is bound thanks to a common cement: the hatred of Emmanuel Macron. One of the red threads during the days of mobilization appeared to be the focus of resentment on the president himself, who was known to be unpopular and who was found hated. It is this factor that best sums up feeling towards the president among the protesters. This personal dimension is an aggravating factor in this crisis. Under the 5th Republic, the president usually suffers a rapid wear after his accession to power. The predecessors of Emmanuel Macron (Nicolas Sarkozy and François Hollande) have governed only one mandate. But the visceral rejection of the current president and verbal and physical violence in the streets put his presidency in jeopardy. Since the slogans poured by thousands on social networks to calls for murder through insults, Emmanuel Macron proves to be the target of a hatred, a violence sometimes unheard. The personality of Emmanuel Macron focuses the animosity of the demonstrators. He is the target of many critics. They reproach him for an exercise of what is deemed monarchical power, a neoliberal economic policy, links with finance. It must be said that in the way he has held office for a year and a half, he has offered himself to popular anger. Since his election, the president has indeed not allowed any other major political figure at his side, and particularly not the prime minister or the ministers. In the current social crisis, the denunciation of the “little presidential sentences” was very important. They are one of the vectors of the transition from unpopularity to detestation. These words were received as insults. 3. The challenge of representative democracy and anti-presidentialism. The movement of “yellow vests” showed a deep distrust of representative democracy and the very principle of representation. Representative democracy as it was established in the 20th century is criticized. Some even speak of a democratic exhaustion. Yet an essential element of the political regime, the election of the president with direct universal suffrage, was not the object of any criticism, except among the proponents of a 6th Republic who wish the return to a more parliamentary set-up of institutions. For a long time, it has been very favourably received and continues, according to opinion polls, to garner the support of a majority of French people – 53% to say they are attached to the election of the president with popular vote (a provision that was however adopted in 1962 by 62.25% of voters). The presidential election remains “a particularly strong democratic moment” for 62% of French people. However, 62% of them also believe that the political regime of the 5th Republic is more likely to favour the excesses of too personalistic power, compared to a parliamentary regime. The “yellow vests” express a real mistrust of all the traditional representatives, who would no longer be likely to “speak on behalf of the people”. Beyond the president, all elected officials are targeted. They are considered not active enough, disconnected from the everyday life of the French people … The idea of ​​a conflict between the high and the low, the elites and the people, is at the heart of the demands. Beyond these demands, supporters of the social movement join in the rejection of parties, unions, justice, police and all other institutions. They are deeply suspicious of all politicians. Unlike other populist movements, “yellow vests” are not tied to any political party. Some of them come from extreme-right or extreme-left movements, but many are merely anti-politics. In addition, a demand for participatory democracy has emerged in the claims of “yellow vests”. This situation reflects the crisis of representation that is spreading throughout many Western liberal democracies. This is a profound criticism of the representative regime that we are witnessing in France. Beyond the claims of purchasing power, social justice and taxation, the movement of “yellow vests” leads to a political demand: to give citizens the power to participate directly in the affairs of the country. They intend to exercise this right through the introduction of a “citizens’ initiative referendum”. The “yellow vests” want the people to intervene directly in political life. It would be a real threat against representative institutions. In addition to the possibility given to citizens to propose and repeal laws, the citizens’ initiative referendum should give them the right to dismiss elected representatives, and therefore the president, when the latter do not perform satisfactorily. To be initiated, a sufficient number of signatures must be collected – on social networks, the number of 700,000 signatures is already circulating. The principle of the referendum has already existed since 1958. Article 11 of the constitution provides that “the President of the Republic, on a recommendation from the government” triggers the referendum. This referendum procedure has been used nine times since 1958 (1961, April 1962, October 1962, 1969, 1992, 1988, 1992, 2000, 2005), but has gradually weakened to the indifference of the voters (introduction of the five-year term in 2000), or that its result was then bypassed (European Constitution in 2005). As soon as he was elected, Jacques Chirac revised the constitution to allow referendums on “reforms relating to the economic, social or environmental policy of the nation, and to the public services contributing thereto”. The constitutional revision of 2008 then added the principle of the “shared initiative referendum”, which is triggered “on the initiative of one fifth of the members of parliament, supported by one tenth of the voters enrolled on the electoral lists”. But this “shared initiative referendum” has never been used. Its organizational conditions are so absolute that it has remained a dead letter. Procedures of direct democracy risks reducing the omnipotence of the president. It is up to the president, on a proposal from the prime minister or the parliament, to decide to use the traditional form of the referendum provided for in Article 11 of the constitution. The call to the people is an opportunity for the president to draw on the source of legitimacy. General de Gaulle had always accompanied it with the question of confidence. But his successors sought to confer on it the character of a popular vote. Lawyers are divided on the citizens’ initiative referendum. Some of them are in favour, while others are hostile. Many protesters are seeking the removal of the president. “Macron dismissal” is a slogan that comes back in the manifestations of “yellow vests” or on the Facebook pages of the movement. On the Internet, a petition calling for the dismissal of the president has exceeded hundreds of thousands of signatures. To support their request, many internet users evoke a passage from the constitution: article 68. “The President of the Republic shall not be removed from office during the term thereof on any grounds other than a breach of his duties patently incompatible with his continuing in office”. The removal “shall be proclaimed by the Parliament sitting as the High Court”, one can read. This impeachment procedure, which has never been used, was introduced in 2007 as a counterpart to the immunity available to the Head of State. At no time, however, is it specified what is the nature of the failings that could lead to the removal of the president. It was notably a former presidential candidate, François Asselineau, who suggested the idea to “yellow vests” to use this article. In response to all these recriminations, the president opened other chapters. Those in particular that deal with the constitutional reform component, this electoral promise to the realization seriously slowed in recent months. “I want to ask the questions that affect the representation, and the possibility of seeing currents of opinion better understood in their diversity,” said the president, wishing that this project opens in the framework of “great national debate” that he promises all over the country. Behind these words, resurfaced the idea of ​​introducing a proportional representation in the method of election of deputies to the National Assembly. The executive wants to introduce a “dose” of 15% for proportional representation in this election, but the discussions has stumbled for many weeks, especially since the reform also plans to reduce the membership of parliament by 30%. Emmanuel Macron evoked a second track, which is part of the claims of some “yellow vests”: the recognition of the white vote as a vote in its own right. In this regard, the president pleaded for “a more just electoral law” which would result in “the taking into account of the white vote [blanc voting card]”. The measure was not provided for in the current constitutional reform. The white vote broke records in the second round of the May 2017 presidential election, as did the abstention. The President did not take a position, particularly on the issue of the questioning of the election in case of a high white vote. Faced with the motley “yellow vests” movement and officially without spokesperson, Emmanuel Macron also rested the issue of “participation in the debate of citizens not belonging to political parties” and therefore the establishment of a system of “participatory democracy”. The constitutional reform currently under discussion already foresaw opening “institutions to the citizens”, notably through the transformation of the current Economic, Social and Environmental Council, which could enlighten the public authorities on the economic, social and economic issues, organize “public consultation” and receive citizens’ petitions. The president keeps the advantage because he alone is master of clocks. Then the president plays on all the levers at his disposal: first the “great national debate” he invented to try to get out of the crisis in which he is stuck for almost three months. The exercise must serve as an outlet for the anger but also as a springboard to the aspirations since the President intends to be inspired to build “the new stage of the transformation of the country.” He dismissed the possibility of “playing on the classical institutional keyboard”. According to him, the dissolution of the National Assembly, a negotiation with the social partners or a change of government would be only “expedients” in the face of the social crisis. There remains the hypothesis of a referendum or a meeting of the Congress. The idea of ​​organizing a referendum after the “great national debate” on May 26, 2019, the day of the European elections, was put forward. Emmanuel Macron himself considered this possibility, during an exchange with journalists, on January 31, 2019 at the Elysee Palace. Arthur Nazaret & David Revault d’Allonnes, “Les dix jours où Macron a tremble”, Journal du Dimanche, 27 January 2019. Bernard Dolez, Annie Laurent, “La logique implacable des élections séquentielles », Revue Politique et Parlementaire, no 1083-1084, 2017, 127-142; Bernard Dolez, Annie Laurent, « Des voix aux sièges. Les élections législatives de 2017”, Revue Française de Science Politique, vol 68, no 5, 2018, 803-819. Emmanuel Macron used only once the adjective “Jupiterian”, and it was to speak of François Hollande. ‘He does not believe in the ‘Jupiterian president’, he told the weekly Challenges in October 2016. And yet the expression invaded the discursive space as soon as Emmanuel Macron won the presidential election. Gérard Grunberg, “Les gilets jaunes et la crise du système politique“, Telos blog, 21 November 2018. Dominique Schnapper, « Emmanuel Macron : pourquoi cette haine ? », Telos, 28 janvier 2019; Alain Duhamel, “Le triomphe de la haine en politique”, Libération, 10 January 2019. Anne Rosencher, “La haine anti-Macron”, L’Express, 12 December 2018. Quentin Deluermoz, « Ce mouvement traduit un épuisement démocratique », Le Monde, 16-17 December 2018. Loris Boichot, “Soixante ans après, la Ve République inspire des sentiments mitigés aux Français”, Le Figaro, 4 October 2018. Jacques de Saint Victor, Les antipolitiques. Paris: Plon, 2014, 128. Anne-Marie Le Pourhiet, “Les Français doivent décider eux-mêmes”, Le Figaro, 18 December 2018; Dominique Rousseau, “Le référendum d’initiative citoyenne n’est pas une idée nouvelle”, Le Monde, 19 December 2018. Olivier Duhamel, “La porte ouverte à toutes les demagogies”, Le Figaro, 18 December 2018 ; Anne Levade, “Le ‘RIC’, une vieille idée toujours abandonee”, L’Express, 19 December 2018; Denys de Béchillon, “La foule est le plus mauvais décideur politique qui soit”, Le Point, 24 January 2019. Anne Levade, “Proportionnelle: gare aux apprentis sorciers”, Le Monde, 2 Feburary 2019. Guillaume Tabard, “Le ‘nouveau souffle’ que veut Macron”, Le Figaro, 1 February 2019; Guillaume Tabard, “Et maintenant l’hypothèse du Congrès”, Le Figaro, 7 Feburary 2019. This entry was posted in Europe, France and tagged Emanuel Macron, France on February 25, 2019 by Philipp Köker. This past week, the Central Executive Committee (CEC) of Uganda’s long-time ruling party concluded a five-day retreat, lavishly hosted at the luxury Chobe Safari Lodge. Among other decisions, the CEC members agreed to endorse President Yoweri Museveni’s “sole candidacy” in the 2021 elections, meaning there should be no challengers from within the National Resistance Movement (NRM). The CEC also agreed several reforms to the party’s structures and procedures. These changes include reversing an earlier reform, which barred top party officials from also seeking elected office, and eliminating the secret ballot in parliamentary primaries. The idea is that party members will, instead, line up behind their preferred candidate, a procedure last used in the 1980s. The CEC’s resolutions still must be voted through at the next NRM delegates’ conference, scheduled for November this year. The support of conference delegates is all but guaranteed, though, and if need be, there is always the option of deploying police around the conference hall, as happened at the 2014 conference. What then, if anything, is the significance of these proposed changes? There is nothing remotely surprising about the “sole candidacy” resolution, which paves the way for Museveni to extend his 33-year-long presidency. Indeed, in late 2017 already, the NRM leadership pushed through a constitutional reform lifting presidential age limits, making its intentions to keep Museveni in power perfectly clear. The only point of interest relating to the “sole candidacy” resolution is that it came from the CEC and not, as in 2014, from the NRM parliamentary caucus. Although the CEC’s intervention is more in line with official party procedure, the parliamentary caucus had—in the past—assumed a prominent role in championing key party decisions. Its absence from the story now may simply be an indication that Museveni’s sole candidacy is a foregone conclusion; it requires minimal mobilisation within the party, unlike in 2014 when he faced a challenge from an NRM insider. More interesting, though, it may also be a consequence of mounting frustration within the NRM parliamentary caucus, linked notably to fallout from the age limits reform. Of note, and likely related, the annual NRM caucus retreat, usually held in January at the Kyankwanzi National Leadership Institute, did not happen. Shifting focus to the CEC’s proposed party reforms, there is nothing particularly new here either; the latest changes fit into a long series of (failed) attempts by NRM leaders to secure greater internal party discipline and organisational coherence. These repeated efforts do nevertheless raise important questions, namely, how have NRM leaders tried to reform the party and why, by their own admission, have they failed? As in, why has the NRM, despite the unending lamentations of its leaders, remained a fractious and weak organisation? Going back to the 1990s, under the so-called No-Party or Movement system, NRM leaders were experimenting with various institutional reforms, including investing in a would-be stronger secretariat. The 2005 multiparty transition was later cast as a fresh opportunity to strengthen the NRM, to make it the “CCM of Uganda”, CCM being a reference to neighbouring Tanzania’s better organised and more cohesive ruling party. The CEC’s proposed changes are a sign that it is effectively going in circles. As noted above, the CEC aims to reverse a previous decision, introduced in 2014, to bar top officials—specifically the Secretary General, Treasurer and their deputies—from seeking elected office. The rationale in 2014 was that, by barring officials from other political activities, the party would ensure they focused on their party duties. Five years later, though, party officials are caught up in their own internal disagreements, they complain that they no longer enjoy the same “status” as an elected MP, and they have not strengthened the party’s formal structures or mobilisating capacity. The CEC’s response—to revert to status quo ante—does not address the core issue of how to strengthen the NRM, although it may address the immediate concerns of these disgruntled officials. The CEC’s change to parliamentary primary procedures is even less promising. Candidate selection has proved a major challenge for the NRM, exacerbating internal party divisions and parliamentary indiscipline. In a sign of this dysfunction, the 2015 NRM primaries saw 168 petitions challenging results submitted to the NRM’s Electoral Commission. What is more, in the ensuing general elections, more Independent MPs—many of them disgruntled former NRM aspirants—were elected to Parliament than opposition MPs. NRM leaders have responded to these tensions with a series of institutional fix-its, most notably abandoning an electoral college system in favour of open primaries in 2010. The idea was that by allowing all NRM members to vote in primaries, it would be harder for rival factions to bribe their way to victory; as in, the relatively small number of electoral college members could be more easily compromised than a large mass of voters. This optimistic assumption, however, proved wrong. As noted, allegations of malpractice during primaries remain pervasive. The CEC’s latest proposal, i.e. to abandon the secret ballot and return to the 1980s practice of lining up behind candidates, is hardly a solution. The queuing system was controversial in the past, rife with accusations of bribery and intimidation. There is no reason why it should be different today. The only conclusion, reviewing the CEC’s latest decision, is that it faces the same old problems but has yet to find a solution. Party unity cannot be engineered through institutional means alone; rather, if it were serious, the CEC would need to address the root causes of factional tensions. These include wealthy NRM leaders’ tendency to cultivate rival networks within the party as well as the lack of material support for NRM candidates, who instead rely on their own private backers and resources. The NRM top brass lack the appetite—or ability—to handle these issues; indeed, it would require a fundamental renegotiation of how power is distributed within the party. They instead resort to grand declarations—the creation of a “CCM of Uganda”—accompanied by marginal and ultimately ineffective reforms. We are left with something of a paradox. The NRM’s electoral dominance has endured over several decades. Yet, NRM leaders’ control over the party itself remains—by their own standards—partial and unsatisfactory. Much of this historical discussion draws on my PhD thesis, “The Political Economy of Institutions in Africa: Comparing Authoritarian Parties and Parliaments in Tanzania and Uganda”. This entry was posted in Africa, Uganda on February 22, 2019 by Michaela Collord. Vladimir Putin’s approval rating has taken a hit within the last year. From an 82 percent rating in April 2018, the figure now stands at 64 percent. Not disastrous, you might say – but it’s all relative. The proximate cause of this fall is no secret: a set of unpopular changes to Russia’s pension system. Specifically, the ages at which men and women start receiving their pension will be raised – from 60 to 65, and 55 to 60, respectively. Putin initially tried to keep a safe distance from this deeply unpopular change. He finally intervened publicly to amend the legislative initiative during its second reading on 26 September 2018 in the State Duma – the lower chamber of the Federal Assembly (the national-level parliament) – revising down the retirement age for women from 63 to 60. This ‘softening’ did little, however, to dampen public anger, as seen in protest activity and sentiment. The Kremlin is currently taking at least five steps to help make sure it gets its desired results in this next round of elections. In many Russian regions, gubernatorial candidates are required to be ‘party candidates’ – that is, politicians cannot run as independents (unlike, it must be said, presidential candidates). The worry for Kremlin-backed figures, however, is that the party of choice – the ‘party of power’, United Russia – is currently toxic by association. In April 2018, approval for the party hovered at 50 percent; the figure now is around 32 percent. As with Putin’s approval rating, the reason for the fall is found in the pension reform. Now that the party brand is more a liability than a benefit, legislation in a number of regions is being changed to allow gubernatorial candidates to run as independents. Thus, for example, Aleksandr Beglov – Acting Governor of St Petersburg – introduced a bill to that effect on 20 November 2018; the initiative was approved by deputies of the St Petersburg Legislative Assembly on 19 December. Many regions in Russia fill seats in their regional legislative assemblies using a mixed electoral system. Like elections to the national-level State Duma, half the seats are filled through ‘first-past-the-post’ races, with the other half filled through party-list proportional representation. So, voters make two votes: one for a particular candidate and one for a particular party. A number of regions have approved, or are considering, changing the proportion of seats filled through ‘first-past-the-post’ races to 75 percent. The reason for the change is clear: campaigns focused on individuals rather than the party will help shift the focus away from the unpopular ‘party of power’. In addition, ‘administrative resources’ – the advantages held by being Kremlin-backed, such as favourable state media coverage – are more easily deployed in candidate-centred, rather than party-centred, races. Unsurprisingly, opposition party leaders are not keen on a change that will likely benefit United Russia. Getting elected is only one hurdle faced by opposition politicians. Once in office, they not only need to deal with local elites, but they also need to develop a working relationship with Moscow. Even if they do establish a pragmatic arrangement with the Presidential Administration, this doesn’t guarantee a quiet life. Take, for example, Sergei Levchenko – the Communist Party (KPRF) governor of Irkutsk Oblast’, elected in 2015. In September 2018, footage was uploaded on YouTube of the governor shooting a hibernating bear at point-blank range. The footage might be shocking, but the timing of its release is telling: although the hunt apparently took place in 2016, its upload to YouTube coincided with legislative elections to the Irkutsk regional assembly. Moreover, a criminal case was initiated on 29 December regarding ‘illegal hunting’ – something that might continue to dog Levchenko, in addition to more recent accusations of embezzling budget funds. The Irkutsk governor is up for re-election in 2020, so the point is not that the Kremlin is trying to frustrate an election campaign running up to 8 September. Rather, this case of ‘black PR’ appears part of a broader attempt to smear opposition politicians in general. A Presidential Administration working group – headed by First Deputy Chief of Staff, Sergei Kirienko – has been tasked with exploring ways to amend electoral legislation, including softening the ‘municipal filter’. Given the Kremlin’s desire not to see a re-run of opposition wins, however, these liberalisations are unlikely to be implemented, especially before the 8 September elections. Another sign that reform is unlikely comes in the planned rejection of a legislative initiative (introduced into the State Duma by senator Vladimir Lukin) to make passing the ‘municipal filter’ easier. Opponents of the change have branded it ‘populism’. These five steps are some of the ways in which the electoral playing field is being tilted in the ruling elite’s favour, not to mention methods of outright electoral fraud. If the rules don’t suit, then just change the rules. This basic message is not new, but it’s worth emphasising that the long-term effects of this legal instability are unlikely to help the development of a rule-of-law state in Russia. Data from the Levada Centre – an independent polling organisation. Data from VTsIOM – a Kremlin-friendly polling organization. The 2007 and 2011 State Duma elections did not use a mixed system, involving only party-list ballots. The ‘municipal filter’ requires politicians to collect a certain number of signatures from municipal deputies in order to register their electoral candidacies. Such ‘municipal filters’ did not prevent the candidacies of the opposition-party politicians who ended up winning gubernatorial elections in 2018, as the Kremlin – in another manifestation of ‘sovereign democracy’ – approved their participation as ‘technical’ candidates. Frustratingly for the Kremlin, however, they ended up proving more popular than anticipated, if only, or largely, through votes cast as protests, rather than cast as positive endorsements of opposition electoral platforms. This entry was posted in Russia and tagged elections on February 15, 2019 by Ben Noble. This is the first blog for a few months. Not that there is any diminishing interest in French politics on my part, on the contrary. But the speed of events has proved somewhat overwhelming. Too much has been written about the gilets jaunes, referring to the yellow jerseys that drivers are obliged to carry in their cars and wear in the case of accidents. Too much fake news has circulated on the social networks, feeding the conspiracy theories that have reached the core of the gilets jaunes themselves. The normal mediators – journalists, politicians, academic commentators – have been contested to such an extent that mediation and authoritative interpretation have been challenged as core principles. The degree of routine violence in the streets of Paris, Bordeaux, Toulouse and other French cities (and even small towns) leaves a bitter taste. The outbreak of open fighting between rival groups of ‘yellow jerseys’ in Lyon, my city for the past five years, demonstrates how the gilets jaunes movement can be captured by ideologically charged groups of extreme left and extreme right protesters, with only the detestation of the orthodox centre in common. Attempts to force entry into the Elysée and – more recently – the Parliament bear worrying echoes of earlier periods in French history. The French and foreign press has been replete with articles and special issues attempting to define historical precedents for the gilets jaunes movement and to set the events in historical context. The French weekly Le Point reminded readers, in its edition dated 13th December 2018, that most significant revolutionary events had been sparked by tax protests, including the most famous of them all, the French revolution of 1789. More recent explosions that came to mind were those of May ’68, or the protests of November – December 1995 that brought France to a standstill. None of these comparisons were entirely satisfactory: for example, the 1968 movement had been one of students and workers, while the gilet jaunes movement is better described, sociologically, in terms of the mobilization of the lower middle classes haunted by the fear of downward social mobility, economic hardship and the descent into poverty. One general lesson of the gilets jaunes movement has been the need not to over-interpret the events in relation to past French events, or an ill-defined revolutionary tradition. But there are worrying precursors – and none of them bode well for democratic institutions. The problem with over-interpreting the gilet jaunes movement lies in the changing and multiform nature of the movement itself. What started as a form of anti-fiscal protest has become a camouflage for the hard right and hard left and the nihilist designs of the casseurs, the specialists in urban disorder. To recall: on 17th November 2018, the gilets jaunes demonstrated for the first time in Paris (and certain cities), in the main peacefully. Successive weeks saw their numbers diminish, but the violence of the conflict increase. The protests spread from central Paris – the object of struggle in the French revolutionary tradition – to small towns and secondary cities. Multiple interpretations of the gilets jaunes are, of course, possible: for example, as an anti-fiscal protest, a concrete manifestation of territorial fracture, a quest for new forms of social relations in a world of anomie and alienation (the ‘roundabouts’ replacing the rural cafes), as a camouflage for social disorder and anti-parliamentary protest. The gilets jaunes movement shook the presidency to its foundation. Many interpretations of the gilets jaunes movement have focussed on the challenge to Macron’s authority- and the fall from grace of an over-arrogant leader, caught up in hubris and undermined by demeaning one-liners. By mid-December 2018, Macron’s poll ratings seemed to be approaching the catastrophic levels of his predecessor Hollande after 18 months in office. But are these interpretations the right ones? My argument is that the gilets jaunes movement is in the process of demonstrating that Macron is more resilient than recent French Presidents. The anti-politics movement might have broken out under previous presidents. There are reminiscences of the period back in 1995, when President Chirac campaigned and was elected on the diagnosis of a ‘social fracture’ in France. Chirac set the standard for politicians saying one thing – and doing another. The former Gaullist President had u-turned by October 1995 and lost the election as a result in 1997. Closer to the present day, Chirac was re-elected in 2002 only because he faced the far-right’s Le Pen on the second round. His successor Sarkozy was forced to change course to deal with the impact of the 2008 economic crisis. Though a highly active reformer, not much remained at the end of his presidency. President Hollande (2012-2017) suffered almost from day one from his inability to narrate the sense of his presidency, along with the sense of drift and decline. In comparison Macron’s leadership has appeared as disruptive (breaking with norms and expectations), robust and, in some senses transformational. A more modest President Macron might be emerging. Macron has no real choice, if he is to survive and eventually gain a second term. Macron’s reactions to the crisis have been moderate and tempered. It is still too early to conclude definitively that this crisis is over. But Macron has ridden the wave of unpopularity and is starting to recover. He has demonstrated an astute capacity to respond. The major concessions made in December 2018 certainly had the ring of previous Presidents trying to buy off social discontent by reaching for the cheque book (President Macron announced 10 billion euros of new spending in his December 2018 address to the people). But he has also demonstrated the capacity to stand firm against popular pressure and continue his reform programme. Moreover, his launching of the Great National Debate is an astute move, renewing with the early innovation of the marcheurs, the supporters of Macron who knocked on doors across France to ask electors what their priorities were. The Great National Debate is opposed by many yellow jerseys – but it is difficult to refuse to engage in public debate when the sense of exclusion was one of the main factors driving the movement in the first place. Macron has personally demonstrated energy and commitment in animating debates across France: inter alia, with rural mayors in the Lot, with mayors from the Paris suburbs in Seine-St Denis; with young people in the Monts d’Or. Finally, though organised political parties have had great difficulty positioning themselves in relation to gilets jaunes, the two forces to emerge strengthened from the movement are, firstly, the National Rally of Marine Le Pen (former FN), who appears in pole position for the 2019 European election, and – rather paradoxically – Macron himself, as the seriously embittered President recovers from the ashes as a result of skilful manoeuvring and direct contact with the citizens. The ultimate Macron paradox is that the gilets jaunes movement has undermined what remains of the ‘old’ world (the Republicans, the Socialists, even Mélenchon’s France Unbowed) except the privileged opponent, Marine Le Pen. The game is a dangerous one, but the calculation that a face to face clash between Macron and Marine Le Pen will, once again, turn in favour of the former is a hypothesis that rests on serious foundations. This entry was posted in Europe, France on February 13, 2019 by Alistair Cole. The 13th Parliament (Saeima) elections in Latvia took place on October 6, 2018. According to the Constitution of Latvia (Satversme), Article 56, the Government shall be formed by the person who has been invited by the State president to do so. The formation of government took more than three months after the parliamentary elections. On October 18, 2018, on the twelfth day after the elections and one day before the official election results were announced, State president Raimonds Vējonis convened meetings with elected political parties. On October 30, the State president held meetings with three Prime minister candidates from political parties (Artis Pabriks from the Development/For! alliance, Jānis Bordāns from the New Conservative Party, and Aldis Gobzems from the KPV LV party). Meetings with those candidates continued November 7, one day after the 13th Saeima began to work. On that day, the State president invited Jānis Bordāns, the New Conservative Party, to form the government and gave him two weeks to set up the government with the notice, that if it fails, another candidate will be invited. After unsuccessful government-building talks, on November 14th, the State president withdrew the invitation. On November 14, and then further on November 20 and 26, the State president continued to have meetings with three Prime minister candidates from the elected parties and with other members from other elected parties. On November 26, the State president invited Aldis Gobzems from the KPV LV party to form the government, but on December 10 due to the lack of majority support in Saeima, Gobzems withdrew his candidature from the Prime minister position. On December 10 and 11, the State president continued to have meetings with elected parties and on December 21, the State president met with Krišjānis Kariņš, New Unity, as a potential candidate to form the government. Meetings with elected parties continued December 28, 2018 and January 4, 2019. On January 7, 2019 the State president invited Krišjānis Kariņš to form the government. On January 21, one day before the Saeima approved new government, there was a meeting between Krišjānis Kariņš and the State president. On January 22, 2019, the Saeima approved the new government. The five-party coalition (New Unity, the New Conservative Party, the Development/For! alliance, the National Alliance and most of the KPV LV party) is now headed by the Latvian-American dual citizen Krišjānis Kariņš. Previously, the newly nominated Prime Minister was a Member of the European Parliament. Krišjānis Kariņš holds a PhD from the University of Pennsylvania. He was born in Wilmington, Delaware, USA in 1964. His party, New Unity, represents the smallest party elected in the Saeima, holding just 8 mandates out of 100. Meanwhile, the largest party in Saeima, Harmony, was not even included in coalition formation talks after all other parties refused to cooperate with it. The coalition might be characterized as centre-right. 61 Saeima deputies voted in favor of the government and 39 voted against. The complicated government formation talks were the longest in the history of Latvia. This entry was posted in Europe, Latvia, Presidentialism and parliamentarism and tagged government formation on February 11, 2019 by Inese Abolina. Last 3 February 2019 presidential elections were held in El Salvador. The young politician Nayib Bukele, 37, was elected president after running as candidate of the Grand Alliance for National Unity (GANA). These elections are significant for several reasons. Firstly, the two-party dominance in the executive office of the last 30 years was broken. The right wing Nationalist Republican Alliance (ARENA) ruled the country from 1989 to 2004, whilst the leftist Farabundo Martí National Liberation Front (FMLN) did from 2009 and 2014. These were rivals back in the 1980s during the civil war. This makes their defeat ever more symbolic. Secondly, this electoral process shows features similar to those we recently find in different elections around the globe: little credibility in traditional political parties, and a politician who presents himself as an anti-establishment candidate who uses a populist discourse and resorts to social networks as key platform to communicate his message. In addition, as in last year’s presidential election in Brazil, Bukele competed as the candidate of a small political party who welcomed his skills and popularity as a way to reach for the first time the executive office. Like its predecessors, Bukele’s government will have to face structural political and economic problems that will limit its presidential powers. Moreover, he will have to face a divided government situation. In a still very conservative society, the president-elect will have to exert control over politicians from older generations and different political backgrounds in both his cabinet and his party fraction in the Legislative Assembly. In 1992, the Peace Accords were signed between the government of El Salvador and the FMLN guerrilla. One of the most successful aspects of this negotiation was the institutionalisation of the guerrilla as a political party. Since 1994, the first year in which it participates in legislative elections—in El Salvador the legislative elections are held every three years and the presidential ones every five years—the FMLN has constituted itself as the second largest party in the Legislative Assembly of El Salvador, behind of the right-wing ARENA—founded in 1981. In 2009, the FMLN reached the presidential office for the first time with media figure Mauricio Funes as a candidate and in 2014 it won again with Salvador Sánchez Cerén. Although this party had a Marxist leaning as a guerrilla group, since the mid-1990s it has moved towards the centre. Due to the dominance of the presidential elections by ARENA and the FMLN in the last three decades, several commentators refer to this period as a bipartisan system. However, while the two parties are the strongest forces in the Legislative Assembly, this is a relatively fragmented legislature. There are 84 seats but no party has won the necessary number of seats to form simple majority, none of them has obtained more than 35 seats in a single election. The effective number of parliamentary parties (ENPP) index—or number of parties that have effective decision-making power—on average between 1994 and 2015 has remained at 3.46. In other words, normally the Executive has no choice but to negotiate. The presidential powers are hindered by separate legislative and municipal elections that become barometers of the current government performance. Despite the success of the 1992 peace process, the structural roots that led to civil war—poverty and economic and social inequality—persist. This is compounded by the increasing social violence since the 1990s. El Salvador has one of the highest homicides rates on the planet and insecurity has become part of everyday life in this country of 6.4 million people. With the Peace Accords, thousands of Salvadorans exiled in the United States returned to their country. The US government found in the end of the civil war an excuse to deport hundreds of Salvadorans linked to criminal gangs. That was the germ of the famous Salvadoran vicious street gangs called maras. These have become so powerful that it is said that today they even contribute to the financing of the main political parties. The parties, as well as private businesses, have to negotiate quotas of power in the territories where the maras operate. Insecurity and a weak economy that has affected the middle class in particular are two of the factors that contribute to explain the weakening of trust in political parties. The dollarised economy of El Salvador grows modestly. According to the World Bank, it is one of the slowest growing countries in Central America and poverty has only slightly decreased during the present decade. This is largely due to Salvadorans’ high reliance on remittances, which, as Benedicte Bull and her co-authors argue, [Business Groups and Transnational Capitalism in Central America: Economic and Political Strategies. New York: Palgrave MacMillian] generates few incentives for productive activities. Extreme poverty is concentrated in rural areas. It is not surprising then that in recent months thousands of Salvadorans from these areas have joined the caravan of migrants that left from Honduras to the United States. On the other hand, the government’s efforts to reduce the fiscal deficit have led to a significant increase in various taxes which could have impacted the incomes of the middle and lower classes, according to ICEFI, a Central American fiscal policy think tank. Corruption scandals are added to the pressing economic and social situation. Two ARENA ex-presidents, Francisco Flores (2004-2009) and Tony Saca (2004-2009), have been convicted of corruption. Former FMLN President Mauricio Funes (2009-2014) remains in exile in Nicaragua, where he is under political asylum status granted by the Nicaraguan government. He is requested by the Salvadoran judiciary authorities who have led an investigation on embezzlement during his government. This and the Saca’s case both are linked to a corruption scheme that diverted public funds to pay bonuses to public officials close to the presidents and their parties. Just a week ago, previous to the election, it was published that one of the persons who would have received illegal bonuses during the Funes’ government is the current President of the Republic, Salvador Sánchez Cerén. This was probably the coup de grâce to FMLN’s campaign that the supporters of the anti-corruption candidate Nayib Bukele were expecting. Nonetheless, bear in mind that somehow he has to circumvent the fact that he won under the GANA flag, a party founded by Tony Saca in 2010. In August last year, Saca declared himself guilty of corruption charges against him. Nayib Bukele was born in San Salvador in 1981, in a family of Palestinian origin. His father was an public relations businessman and Nayib took over the family business when he was pursuing a law degree, which did not complete. In 2012, he was elected mayor of the small city Nueva Cuscatlán, under the FMLN banner. In 2015 he again competed in local elections as a FMLN politician but this time as mayor candidate of San Salvador, the capital of El Salvador. As a mayor of this very populous city, he has carried out works of reconstruction of historical streets and buildings, at the time that he also has promoted other works such as skateboard parks, while increasing the police presence in the capital city. This has contributed to galvanise his popularity among the poor and middle classes. To this it has also contributed the open criticism to the party that led him to become a mayor as well as his dressing style and way of approaching fans, through social media platforms, which many describe as millennial. By 2016, Bukele was already a well-known public figure in El Salvador and their presidential ambitions were obvious. In October that year writer Lauren Markham, reporting for The Guardian wrote that he “is met with the fanfare and admiration of celebrity. In the past year, while reporting on the violence in El Salvador and the exodus of citizens that it has unleashed, I’ve heard Bukele’s name—Nayib, Nayib, Nayib—issued like a trumpet call, from schoolyards in Oakland, California, to cornfields in El Salvador’s sun-parched east. Even those who oppose his policies concede that he is making profound changes, and thus, at worst, speak of him with respect”. In September 2017 he had conflicts with councillors of ARENA and of his own party. In reaction to this, he accused the government of El Salvador of being more of the same like previous ARENA governments had been. In response, in October of that year the FMLN expelled him from the party. That same month he founded his own party, Nuevas Ideas, but it was not until August 2018 that the Supreme Electoral Tribunal (TSE) authorised its registration. The pragmatism and presidential ambition of Bukele were evident in the process that led him to seal his candidacy with GANA. Due to the obstacles to register Nuevas Ideas, he tried to be the candidate of the leftist Cambio Democrático, but the TSE on 26 July 2018 cancelled its credentials on the grounds that it did not reach the electoral threshold of minimum share of votes in the 2015 elections. Two days later Bukele announced that he would be the candidate of the right-wing GANA. With Bukele, quickly GANA was placed ahead at the top in intention of votes, well above ARENA and the FMLN, in at least two opinion polls. Bear in mind that Bukele since 2017 had seen his popularity increase with the slogan “give us back what was stolen” in allusion to the governments of ARENA and the FMLN, and his social media campaigning. To the very complex structural problems of Salvadoran politics, society and economy it can be added that the new president will have to govern until 2021, accompanied by a legislative caucus of only 10 deputies that he will have to convince of his leadership. Remember that he officially joined GANA at last moment and it is unclear how his caudillo politics will fit in once in government. Indeed, both GANA and Nayib Bukele sealed a pragmatic alliance and both have incentives to keep it once the new government is sworn-in in June. It is also true that GANA, whilst founded as a right-wing party, it has played a pivotal role in the Legislative Assembly, sometimes in tune with progressive social policies of the current FMLN government, as with the most conservative faction of ARENA. Nevertheless, to reach simple majority agreements, the new government will necessarily have to negotiate either with the FMLN, with 23 deputies, or ARENA that has 37 deputies and is probably ideologically closer to GANA. Currently, the speaker of the Legislative Assembly is a deputy of ARENA and in October it will change to a Christian Democrat legislator who will remain in office until 2021. This situation poses a divided government situation, and considering the power resources of the speaker one could argue that that GANA deputies will tilt toward the right. At the time of writing, negotiations are taking place between Bukele’s team of the newly created left-wing party, New Ideas and GANA. This is the first test to prove the flexibility of the electoral coalition of the president-elect. The team of the to-be-sworn president assures that it will be an inclusive cabinet. Added to this situation is the international environment. El Salvador is known for its high rates of emigration mainly to the United States, motivated since the 1990s by deficient economic conditions. Since the beginning of the current decade, thousands of Salvadorans have been deported and especially during the last two years US immigration policies have become more aggressive against immigrants. If the promises of the US president Donald Trump are fulfilled, the Bukele government could become more complicated. However, unlike the FMLN government, with which there have been disputes with the government in Washington DC following El Salvador’s recent diplomatic break with Taiwan to establish them with China, Bukele and his pragmatic allies may be more willing to have more harmonious foreign relations with the United States. This post was co-authored with Ilka Treminio, of FLACSO Costa Rica. This was averaged using Matt Golder and Nils-Christian Bormann’s ENPP calculations in their Democratic Electoral Systems, 1946-2016 dataset. This entry was posted in El Salvador and tagged El Salvador on February 8, 2019 by Juan Muñoz-Portillo. An overshadowed honeymoon has been giving contours and rhythm to Bolsonaro’s first weeks in power. During the honeymoon, the new administration’s first 100 days, presidents usually count on the public’s good will and send strong signals of presidential leadership when presenting a clear governing agenda on Day One. Since “not all presidents are created equal”, the honeymoon phase is an exceptional chance for the president to wisely allow voters, political representatives and opponents to update their feelings about the new incumbent. The value of the first weeks is even greater when strong polarization, political uncertainty, and distrust prevailed during the electoral campaign. Despite these well-known advantages, some presidents allow, or cannot avoid, the overshadowing of the initial steps of their administrations. Stabbed during an electoral rally, Jair Bolsonaro did not intervene much in the debates of the political campaign. Instead, he intensively resorted to social media to rhetorically reinforce his image as an anti-system candidate. His populist appeals fed the hopes of social conservative groups, and he voiced fury against corruption and committed himself to ultraliberal economic reforms. Backed by a weak partisan coalition, but supported by a massive number of religious leaders, anti-corruption activists and radical opponents of the leftist Worker’s Party (PT), Bolsonaro defeated established parties and won the presidential race with 55% of the valid votes. The first test of Bolsonaro’s leadership skills was the “presidential transition” process. It is quite an institutionalized process in Brazil when, for 55 days, outgoing and incoming administration teams work together and the latter organize themselves to assume governing responsibility. Bolsonaro’s limited participation in the presidential campaign, along with high expectations about the content of his governing agenda, raised political uncertainties about which policies he was committed to and on which policies he would be able to deliver. Reforms to overcome the economic crisis and the state fiscal deficit, such as the reform of the pension system, had been initiated by outgoing President Michel Temer, who conducted a pronounced pro-market policy-shift after the impeachment of the leftist president Rousseff. However, he became a lame duck president after corruption scandals broke the ruling coalition, interrupting the costlier reforms. Shifting the weight of economic decisions to the minister of economy was Bolsonaro’s only move toward these reforms. Everyone expected pronouncements from the president about these reforms during the transition, but the little we knew about Bolsonaro’s policy preferences did not increase much. It was also expected that, after winning the presidency, Bolsonaro would signal how he was going to handle his minority status in Congress, to get support for his promised policies. During the campaign, Bolsonaro strongly associated Brazil’s problems with the prevailing model of “coalition presidentialism,” on which past governments have been building legislative support, as a source of corruption and wrongdoing. Avoiding commitments to partisan bases, he claimed that nationalism should be the true motivation for inter-branch cooperation. The president-elect left legislative parties’ leaders “out of the loop”, and placed loyal campaigners and the military at center stage. Thus, the transition period did not contribute to dissipating uncertainties. President Bolsonaro was sworn into office on January, 1st, 2019. His honeymoon period began with 65% of Brazilians declaring their optimism over the economic prospects under the new administration. However, some missteps during its first 30 days have set off alarms about the strengths of the president’s leadership. In the following, we call particular attention to intra-government management and the relations with Congress. Miscalculations in the formation and management of the inaugural cabinet may have cost the president some reputational losses. This is particularly a risk when a new party assumes power and the president, such as Bolsonaro, lacks experience in the executive branch. At the beginning of his term, politicization, flip-flopping, and erratic cabinet politics increased the misgiving or skepticism about this president’s leverage to coordinate the executive and advance economic structural reforms. 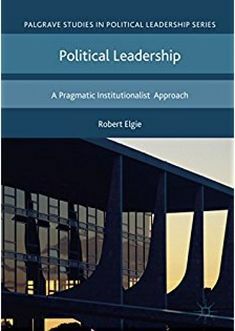 A radical politicization of the executive, with the nomination of campaigners loyal or ideologically close to the president, to ministerial and high-level positions, has engulfed even more the institutionalized and specialized agencies whose efficiency can be hurt by such a strategy. “True believers” in the conservative agenda voiced by Bolsonaro were nominated to the Ministry of Foreign Affairs and the Ministry of Education, and promptly announced deep changes in the core policies carried out by these structures and bureaucracies. The dismissal of all nominees considered to be sympathizers of leftist parties was one of the first acts of the loyal campaigner and Chief of Staff. Without party coordination, this politicization was led by the “president’s men”. It broadened the space for fights within Bolsonaro’s electoral coalition for open positions. Cross-pressured by these groups, Bolsonaro flip-flopped on the nomination of several would-be ministers. Flip-flopping became evident, for the most part, in the organization of state agencies. The candidate, who had campaigned for a drastic reduction of the cabinet to 15 ministries, ultimately admitted to the need for 22. Flip-flopping marked Bolsonaro’s attempts to dismantle or transfer agencies in charge of policies that he opposed. For instance, his initial announcement of the elimination of the Ministry of the Environment was cancelled following opposition from the agrobusiness sector, worried about the negative impact on exports. These management missteps damage the reputation of the president; even more so, when a lack of communication strategy amplifies them. Bolsonaro’s insistence on communicating each decision by Twitter and live-streaming web videos has allowed everyone to follow this presidential flip-flopping closely. More dramatically, the 6-minute speech delivered by Bolsonaro during the opening of the World Economic Forum in Davos, followed by a cancellation of interviews, showed how costly these missteps can be for a reputation still being built. Difficulties in accommodating the demands of his mixed coalition, left their marks on the final make-up of the cabinet. Nonpartisan super ministers of the Economy and of Justice had been appointed early; however, the whole cabinet was known only a few days before the inauguration. Loyal campaigners, or leaders of parliamentary fronts, were the only six ministers with previous legislative careers. Military officials assumed more ministerial and high-level positions than expected, corresponding to 7 out of 22 ministers. Beyond the defense policy, they are in charge or sharing responsibilities of inter-ministerial coordination and inter-branch relations inside the Presidential Office. Their significant participation in the government, for the first time since Brazil’s re-democratization, has raised concerns about civilian control over the military and potential intra-cabinet conflicts between civilian and military cabinet members. Despite the presidential coattail effect on legislative and governorship elections, Bolsonaro was elected as a minority chief executive – as all members of the Brazilian “presidents’ club” have been. However, the president did not follow his predecessors in forming a coalition government to overcome this challenge. Instead, Bolsonaro has said he will govern with the backing of legislative coalitions, based on policy compromises. The high levels of parliamentary fragmentation and legislative turnover could favor this presidential calculation. The effective number of parties is 16.5 and 13.5 in the Chamber of Deputies and Senate, respectively. The electoral endorsement from powerful “parliamentary fronts”, such as the famous “Beef, Bible, and Bullet” groups, boosted Bolsonaro’s expectations to coordinate executive-legislative relations based on these shifting coalitions. This expectation is unrealistic: the president/his party are neither the median legislator nor are they able to cartelize the legislative agenda without a multi-party alliance. A party of amateurs is backing the president. It is unable to lead any efforts to build a stable legislative coalition. Despite its exceptional growth in the last election, it holds only 11% and 4.9% of the seats in the Chamber of Deputies and the Senate, respectively. Most legislators are either outsiders or newcomers recently affiliated with the presidential party, just like Bolsonaro. The election to speakership positions showed the continuing capacity of the established parties to control the agenda and to check executive moves inside the Congress. The current Speaker of the Chamber of Deputies won a new mandate by leading a large legislative coalition, with 58% of the deputies. Despite the presidential party having taken part in this alliance and grabbing some important committee chairmanships, it shows the persistence of the partisan bias of these Chambers, where all executive proposals must be introduced. There is a one-month lapse between the presidential inauguration and when the new legislature starts in Brazil. It makes the president and his cabinet the most visible actors in the spotlight, able to get media coverage for engaging the public and stakeholders in addressing governing challenges. Beyond the first-mover advantages derived from the presidential powers, the president can frame the legislative debate before the new Speakers and party leaders take their seats. Surprisingly, Bolsonaro and his team did not seize these opportunities. On the contrary, ambiguous messages and negative records marked this period. Under these conditions, legislative parties stepped back before compromising with the president. The government has not really engaged in the lawmaking process since the transition. Congressional leaders’ expectations of discussing final adjustments to the 2019 budget law with the new administration were disdained by the future Minister of the Economy. This fed into misgivings about either his lack of expertise in the public sector or his willingness to make unilateral decisions. The content of the most anticipated executive bill proposal, the reform of the pension systems, is still unknown, and ambiguous signals have suggested conflicts among government groups. The military personnel resists change to their special pension-system, while the Minister of the Economy defends broad reforms. To show some action, the president has resorted to regulatory and administrative decrees in order to implement some electoral promises. Through the issuing of decrees, the new administration has facilitated gun ownership in Brazil, the monitoring of NGOs – Non-Governmental Organizations – by the Presidency, and given more nominees the power to declare secrecy over official documents, among others. These decrees are, of course, properly understood by the legislative parties to signal that the minority president is willing to engage in unilateral actions. Yet, the honeymoon has been overshadowed by an event that challenges Bolsonaro’s ability to manage a crisis. A judicial investigation has put the president’s family on the spot in a very sensitive area, a corruption scandal. It was revealed that a friend of the president’s son has been investigated for suspicious bank transactions while he was a staff member in the office of Flávio Bolsonaro, a state representative until 2018. Afterward, it became known that Flávio has employed family members of an alleged gang leader, from Rio de Janeiro, in this office. After denying his involvement, Flavio claimed his right to legislative immunity since he was elected senator, which was later rejected by the Supreme Court. The president, his sons and close allies have been discrediting these accusations and aggressively attacking the press on social media. On the other hand, the vice-president gained his momentum by defending the free press and judicial institutions investigating any possible wrongdoing involving government members. Bolsonaro knows that any reputational losses in this anti-corruption territory can greatly reduce his political leverage for keeping the military under his leadership and getting support from Congress. The first 30 days of Bolsonaro’s administration have been intense. His initial decisions and moves indicated potential problems in cabinet management and inter-branch relations which could aggravate, rather overcome, his political weaknesses inherent to having been elected as a minority president. However, if the honeymoon of his administration has been overshadowed, it was caused by the president himself. This entry was posted in Brazil, Latin America, Presidentialism on February 6, 2019 by Sophia Moestrup. Our blog only rarely covers Switzerland – in fact, it has been only been covered in four of our over 1000 blog posts to date (three of which were cross-country comparisons). This is largely due to the fact that the Swiss presidency differs considerably from the other presidencies discussed here. Rather than the incumbent of a unipersonal office, the Swiss president is the chairperson ‘Federal Council’ – a seven-person collegial executive elected for a fixed four-year term in a joint session of the houses of parliament – and rotates annually among the members of the council. As first among equals, Swiss presidents are effectively the country’s highest representative; yet, they have no authority over their fellow councillors. Given that the Federal Council is a voluntary all-party/grand coalition (its party composition is determined by a largely stable ‘magic formula’) and acts ‘in corpore’ (as one body), it is often presented as a unitary actor. However, a range of issues and discussion have highlighted a very interesting phenomenon in this respect – the lack of coordination between different councillors and the difficulties of the collegial presidency to speak with one voice. Newly elected Federal Council president Ueli Maurer irritated national and audiences at the World Economic Forum in Davos two weeks ago when he remarked that the Swiss government had “long since dealt with the Khashoggi case. We have agreed to resume the financial dialogue and to normalise relations [with Saudi Arabia].” This assessment was however not shared by his fellow councillors, and particularly those leading the foreign relations and trade departments were quick to stress that relations had all but normalised (and that trade restrictions remain in place). At the same time, the finance department, led by Maurer himself, is continuing its ‘finance dialogue’ with Saudia Arabia. Thus, Maurer’s remarks not only highlight a lack of coordination within departments, but also between the council and its highest representative. A similar pattern emerged with regard to the new framework treaty between Switzerland and the European Union. The results of five-year long negotiations had been presented in December 2018, eliciting contradictory comments from federal councillors – while Ingazio Cassis (heading the foreign affairs department) praised the draft agreement, his colleagues criticised the deal and the Federal Council failed to present a common position (this had already been an issue in early 2018 during before the last phase of negotiations). Eventually, Maurer called for re-negotiations, despite clear signals from the EU commission that there would be no leeway to renegotiate the current agreement. Last, parliamentarians have increasingly voiced their discontent with the lack of coordination among councillors and their government departments in important areas. Most recently, this was illustrated the lack of a common political and economic strategy on investments from and engagement with China – although promised over ten years ago, policy differs greatly among the departments which hold various responsibilities in this regard. These examples show the problems of coordination in a collegial presidency in which there is only a first among equals, yet none above (primus inter pares vs primus supra pares). Nevertheless, none of these is (yet) sufficient to change the council’s modus operandi. Nevertheless, the new EU treaty may force councillors to adopt a more cooperative approach – both among each other as well as between the Federal Council and parliament. To date, such questions as well as that of political leadership of Federal Councillors has yet received little scholarly attention. Although the Swiss presidency is relatively unique (the closest comparable example are the Captains Regent in San Marino), the above examples demand further investigation and could well mirror patterns of intra-executive conflict in other regime types. Although the president is formally elected by parliament, the order of rotation is strictly based on the length of time that councillors served on the Federal Council. This entry was posted in Europe, Switzerland and tagged collegial presidency, intra-executive coordination, Switzerland on February 4, 2019 by Philipp Köker.